Helping other people is what a career in care is all about – but there are so many ways you can do this. Starting off on one branch of the career tree, is not always where you’ll end up. You might find something you are more interested in and have the right skills for, and go in another direction. Although qualifications and experience are important, for many entry roles they are not necessary. It’s more about what you bring to the job in terms of empathy and your life skills - for example your experiences of caring for a loved one. Apprenticeships are a good way of finding out whether care is for you. Many organisations offer them as a way of combining full-time study with hands-on experience. According to Skills for Care - the employer-led workforce development body for adult social care in England - the care sector may need up to one million extra care workers by 2025, which means a career in care offers opportunity and sustainability. A career in care will give you the chance to learn new things and challenge yourself whilst, at the same time, undertake the relevant training you need to progress to the next level of qualifications - and new job roles. The sorts of qualities you need to work in care are things like compassion, respect, empathy, integrity, adaptability and treating people with dignity. You can find more information about what employers are looking for under values based recruitment. Look at our career tree and job roles for more information. 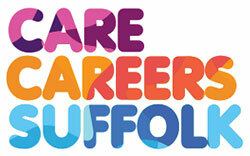 Below is a link to an interactive career challenge that will give you a valuable insight into care work. Based on the answers you give, it will provide you an idea of what care work is really like. And it checks how suited you might be for a career in care. Skills for work, including qualifications, can be learned. However, life skills, your values and attitudes – basically who you are - are equally as important. You might be surprised by how suitable you are for a career in care. It should take about 30 minutes to complete.